Wound Management Technologies, Inc. is an emerging commercial stage company with its primary products in the $5B worldwide advanced wound care market. Wound Management's primary focus is the distribution of its unique, patented collagen product, CellerateRX�, which is FDA cleared and reimbursable under Medicare Part B. Wound Management has other advanced biotech products in development including a patented resorbable bone wax line that is in late stages of development, as well as a subsidiary focused on technology for secure healthcare data collaboration and storage. Deborah's career, with over 30 years experience in the healthcare and technology sectors, is highlighted by a track record of successfully taking early development healthcare and biotech companies from concept to product development and finally to sales. She is an inventor and co-inventor with multiple US patents in pharmacy, telemedicine and other technical applications, and has led numerous initiatives in the healthcare technology arena. Hutchinson brings international business experience to WNDM, with past assignments in Europe, China, the Americas, and Asia. 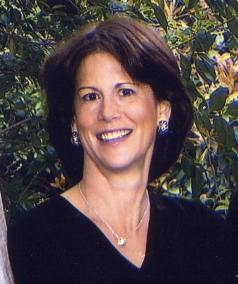 She is the past President of Healthcare Computer Corporation, past President of pH Solutions, Ltd., and served on numerous health industry boards and committees including the Intel Health Advisory Board and the Health Industry Business Communications Council Board (HIBCC). She is presently a director and advisor for Private Access, Inc.
CEOCFO: Ms. Jenkins Hutchinson, you have considerable history in the field, what attracted you to Wound Management Technologies? Ms. Jenkins Hutchinson: Wound Management Technologies has very interesting biotech products and is developing additional healthcare technology products. These products are ready to be marketed worldwide, so what attracted me was the opportunity to take a lot of hard work and product preparation and commercialize the products. CEOCFO: Would you tell us about the Wound Management Technologies product portfolio? Ms. Jenkins Hutchinson: Wound Management Technologies primary focus is on a product called CellerateRX�, which is an activated advanced collagen product that is used in the wound-care market. The wound-care market is close to $5 billion worldwide for these types of products. It is a market that is growing because of the increase in diabetes and other conditions that require wound treatment products. Therefore, this is a large market space and we have a great product. CEOCFO: What is the difference between CellerateRX and other products that are on the market? Ms. Jenkins Hutchinson: What differentiates the Would Management Technologies CellerateRX product is that it is a patented product that fragments the collagen into tiny pieces. What that means is, when you apply it on a wound, your body immediately begins using it for its benefit. Other collagen products are native intact collagens that have to be broken down by your body before they can provide collagen to the wound site. Therefore, instead of taking a few days or weeks for your body to be able to avail itself of the collagen, the collagen works right away. CEOCFO: What is it that collagen does for the wound? Ms. Jenkins Hutchinson: Collagen is a structural material that is produced by cells called fibroblasts. Within a wound, the collagen produced by the fibroblasts form granulation tissue to close the wound. CEOCFO: Where are you in the process of developing and commercializing? Ms. Jenkins Hutchinson: CellerateRX has Medicare reimbursement, and it is approved by the FDA for all wound types except third degree burns. So it has the foundation for marketing. Last year we had over three times the revenue of the year before. In 2011, we are saying that sales will increase six times that of 2010. The sales cycle for healthcare obviously has a bit of a timeframe to it because many sales are corporate sales to healthcare facility chains, hospitals, nursing homes, and other entities. We have over fifty deals in our opportunity pipeline; we have been closing those deals and making many announcements recently. We have had some big announcements in the last two weeks. We are selling through a variety of different channels, including retail and medical; everything from government VHA hospitals to major healthcare systems. Most recently, we announced a channel partner agreement to sell within the hospital and surgical market. Our strategy is a blend of direct sales and channel partner sales both in the US and internationally. CEOCFO: How is CellerateRX applied? Ms. Jenkins Hutchinson: CellerateRX comes in two forms, powder and gel. The powder is approximately 95% collagen, and the gel is approximately 65% collagen. They are used in different stages of wound repair. A deep wound may require powder which absorbs up to 30x its weight in drainage and creates a gelatinous biobarrier. As the wound goes through the healing process and gets drier, the gel will donate moisture to the wound bed and help keep it moist. Another benefit to the powder and gel is that they are ideal for tunneled or undermined wounds. CellerateRX gel can be put in a syringe for example and applied into a tunneled wound. Once the products are applied, they don�t have to be removed. They are biodegradable and biocompatible. So once you clean the wound site, you put the products in, you cover it up and leave it alone. Then during the next treatment you just put more product on top and recover the wound. It is easy to use. CEOCFO: Has the medical community been looking for a better solution or is it just that they are going to be happy when they know you exist? Ms. Jenkins Hutchinson: The medical community is always looking at wound care solutions, because it is such an enormous market with $5 billion of market space in just advanced wound-care. There are products on the market like Hyperbaric Chambers, and ultrasonic machines, so there are all kinds of technology driven wound-care devices. When you have something that is as simple as a powder or gel that has great efficacy, clearly it is something that is easier to use in most wound care settings. In addition, you do not have to transport the patient to a machine and you also have something that could easily be done by a patient at home in-between treatments. CEOCFO: How do you reach the medical community? Ms. Jenkins Hutchinson: We have some direct sales people that we hired last year that are directly calling on nurse practitioners, doctors, wound-care specialists, and nursing home chains. We are also working through the medical community with channel partners like Juventas, a group of Biomet distributors that we announced a deal with just last week, to sell into the medical surgical and hospital markets. McKesson, the largest pharmaceutical wholesaler in North America, carries the CellerateRX products. So, if a person goes to a medical tradeshow or hears about us through some sort of a promotion or is called by one of our sales people, they can contact a distributor and get the product delivered so they can use it and sell it. CEOCFO: What about home use? Ms. Jenkins Hutchinson: It absolutely works at home. One of the nice things about CellerateRX, particularly in home care or personal care, is that you do not have to have a prescription to buy the product. It is reimbursable under Medicare Part B with a physician�s order, so since it is not a prescription but is a medical device, you can buy it directly. We have an Internet distributor and we also have a distributor that sells through TV promotions. It is terrific for first-aid care in situations like injuries when a kid falls off a skateboard; or to treat road rash from a bicycle spill; or to stop the pain and treat a burn in the kitchen or from a barbeque grill. It is fabulous in all those situations. CEOCFO: How do you convince people that it is really different? Ms. Jenkins Hutchinson: Once they use it they get hooked. It is amazing! Even in the investment community people are saying, �I do not know if I believe this or not�. However, when they get a trial of this product, you hear back from them saying, �My mother in-law had a skin tear, wow; I burned myself on the grill, wow; my child skinned her knee, wow.� It really works! CEOCFO: Where does Wound Management Technologies manufacture it products? Ms. Jenkins Hutchinson: The products are manufactured in Pennsylvania under contract. CEOCFO: Do you anticipate continuing to manufacture in the U.S., and do people care? Ms. Jenkins Hutchinson: On some level people care, but we also have a growing international market to consider. Right now, we manufacture everything in the United States even for the international markets. At the end of the day, most people care more about the effectiveness of the product than where it is manufactured. CEOCFO: Would you explain Wound Management Technologies� geographic expansion? Ms. Jenkins Hutchinson: Right now, we have distribution agreements throughout Central America that we have announced in the press. We have distribution and reimbursement agreements in South Africa and we have initiatives and distribution in the Middle East. We have a large distribution partner signed up for Italy and we are in the final stages of the CE certification necessary to distribute products there. There is a worldwide need for wound care products and it comes back to the prevalence of diabetes. Many countries are exhibiting increased rates of diabetes within their population; even to a greater extent than in the United States. Diabetics have wounds that need to be treated and CellerateRX is a great solution. CEOCFO: What is the financial picture for Wound Management Technologies today? Ms. Jenkins Hutchinson: The company has been emerging, so it has been continually raising money to supports its effort. We just announced in our President�s letter that we feel pretty solid for the short-term. We have some business deals that have created financial stability for the company and we did some small financings to get us to that point. We are very optimistic that we will be able to meet this year�s $6 million revenue forecast. CEOCFO: Why should potential investors pay attention to Wound Management Technologies? Ms. Jenkins Hutchinson: Investors should pay attention because the company is emerging. Wound Care Innovations, the marketer of CellerateRX, is our largest subsidiary within Wound Management Technologies. We acquired it in 2004 and a lot of time has been spent doing evidence-based studies and preparing for the marketing. The company�s sales were low during that time period. Now, investors are watching our news and seeing that what we say we are going to do, we are doing. It just proves that our plan is working. We will be cash flow positive and profitable in the next twelve to eighteen months. Besides that, we have two more products in the pipeline, so we are not just dependent on the CellerateRX wound care products. CEOCFO: Would you tell us about the other Wound Management Technologies products? Ms. Jenkins Hutchinson: We have a patent that we acquired in 2009 to produce resorbable bone wax and bone void filler products. It was just announced in the President�s letter that we are going through the final preparations to file the 10-Ks to get those products marketed later this year. We also have our healthcare technology group that focuses on secure communications between all parties involved in healthcare. They were part of a very interesting interoperability showcase at the largest healthcare technology show this February, HIMSS. They will be making more announcements this year as we create their commercialization strategy. Right now we forecast everything based on the CellerateRX product line, but those two other initiatives will begin to produce revenues by the end of the year. Ms. Jenkins Hutchinson: They have started to pay attention. We get lots of phone calls. We have an opt-in mail list that is getting a lot of traction. Every time we do a news release we hear from more new people. We have spoken at a number of investment meetings in the last year to update current shareholders and to spur interest from new ones. We have a speech coming up in June in New York at the One Med Forum biotech conference; we are just really beginning to reach out to investors. CEOCFO: Final thoughts, what should people remember most when they read about Wound Management Technologies? Ms. Jenkins Hutchinson: Wound Management Technologies is growing and hitting its milestones. It will be cash flow positive, and it will be profitable. We are doing what we said we were going to do and we believe Wound Management Technologies is going to emerge into quite a strong company.